March is here! I can smell cardboard in the air! In fact, I can almost taste it. Do your thoughts go to cardboard in March? 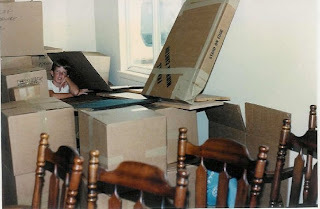 Probably not; most go to spring and flowers but for a military family that relocated 18 times in 30 years it was usually the time to plan our next move and the resulting packing of our household goods brought out the cardboard smells and memories. Many military personnel and their families are getting ready to PCS! That means more visits to your ads on MilitaryAvenue as military personnel prepare to move into your area! What should you do to make your ad have the most appeal possible to market your business to this young savvy group of patriots? My biggest recommendation is to review your ad and keep it up to date! Keep it current! A great ad is reviewed and updated frequently and we offer free updates so go to Business Log In and enter your User Name and Password. The ad will open after you go to the Current Listings section and select the Red Edit button. Go to the checkout and submit after making edits and we will approve the update and have it on the site quickly. We have a Help Page that provides assistance and a Frequently Asked Question (FAQ) section as well! Take the time to review it and your ad for new ideas and ways to reach out to this most deserving community of patriots! Thank you for supporting the troops! I also created a previous blog on how to make your MilitaryReward coupon effective. Go to: Tips: Your Military Rewards and How to Win the Hearts of the Military Community. We want your ads to be effective as a MilitaryAvenue Partner since you care about the military community by providing advertising and support to them. We appreciate comments so tell others what has worked for you! The Permanent Change of Station season is in high gear! Despite the bad news on the economy, the stock market downturn and the political events in DC, military personnel are still relocating into your area! Like many Americans the economy can effect the lives of military personnel due to spouse employment difficulties, impact on long term savings but one third of the military will still relocate in the next 6 months. By now most have orders and know where they are moving this summer which for family reasons is the heaviest relocation timeframe. Even if the member moves ahead due to the school year or spouse job requirements, the spouse or family will follow in the summer. So what are they doing now? Research, planning, getting rid of clutter (a PCS weight limit for household goods is the best garage cleaning opportunity you will ever have), thinking about how to prepare the kids for another move. How about those side trips to visit family while enroute, selling a car, getting maintenance on the current one and/or buying a new one to insure reliability during the long trip. Do they need a rental truck and/or trailer for a do it yourself move or have the government contractor do it? What and how do they research? Think about your lifestyle. They need a place to live, a new church, a place to shop, somewhere to take the car for that oil change on arrival, child care, entertainment and much more! How do they research? Do they have computer access? YES! Remember 75% are 18-34 years of age and over 60% have a family. They research online and many use MilitaryAvenue! They ask friends about the new location and if fortunate may have a friend at the new installation to show them around. They also use the new Answers section on MilitaryAvenue! Go there and see what you can offer to help them relocate! Sign up as an expert and answer questions about the area when they occur. Offer a friendly hand when it is needed and you will be surprised at how loyal the friends will be! What Can a Corporation or Business Do for a Wounded Warrior? I recently interviewed Brian Neuman from USAA about their program to help Wounded Warriors and I thought I would share some ideas with our business partners. Wounded Warriors are frequently considered those wearing Purple Hearts or receiving Veteran Administration disability payments that were caused by wartime service since 09.11.2001. Does your company consider hiring veterans? I know its a tough economic time but you can't find a more loyal or proud employee who has served all of us so well! Are you the business owner? It can start from the top! Let folks know you are interested in hiring veterans. Are you an employee who knows a veteran who is returning to civilian life and wants a job? Needs a recommendation or the opportunity to network? Help them out! Ask to see their resume and give them inputs. Forward it to HR! As a business or American citizen please help support our deserving veterans through non profit organizations such as Operation Comfort, Operation Homefront and the Wounded Warrior Project. Support for these groups is critical to the successful transition of these men and women who deserve our best! They can use your talents while volunteering or your tax deductible financial gifts. Encourage your employees to participate with their time and talents too by publicizing your support! We occasionally post special events for your information on the site, in the blog and in our newsletter so you can see opportunities to assist. Some are even fun and we would encourage your company to get involved like Cox Communications did supporting injured Marines near Camp Pendleton. To see what they are doing visit http://www.cox-cares.org/. Its pretty hard not to get emotional when we see a wounded veteran on TV or the internet but put those feelings to work for our injured veterans! Thank you! The military takes the education of its service-members seriously. In fact, there are different departments focused on the continuing education of their soldiers, sailors, marines and airmen. The Army has "The Army Continued Education System" and their website says: "The Army Continuing Education System (ACES) through its many programs promotes lifelong learning opportunities and sharpens the competitive edge of Army, 2010 and beyond. ACES is committed to excellence in service, innovation, and deployability." They know the importance of an educated Force. According to the Department of Veteran Affairs, in Fiscal Year 2008 over 540,000 personnel utilized their GI Bill benefits. (The GI Bill is the generic term comprising various education assistance programs administered by the Department of Veterans Affairs for the benefit of Veterans and service-members.) That is a lot of education! When you are working with military-customers keep in mind there is nothing 'average' about them. They are an educated force; with *many* things on their plate. Thank you for supporting them! Happy Boxes Self Storage Military Reward program. 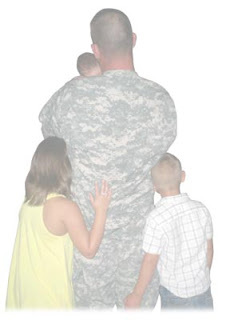 All active duty personnel and their dependents Receive 15% off their Monthly Rent! In addition mention this ad and receive 20% off any moving supplies! Click here to view coupon featured at Norfolk Naval Station. A special thank you to Happy Boxes and all of our MAPP partners for supporting your military community with your Rewards.